High Plains Western Heritage Center contains a 5-State Regional Museum that was founded in the 1970’s to honor the Old West Pioneers and the Native Americans of North Dakota, South Dakota, Montana, Wyoming and Nebraska. Explore the history of the west. 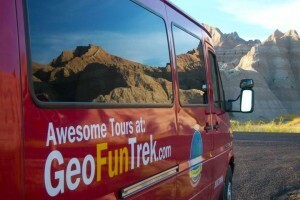 Complete with guided tours and gift shop. The Center is located off I 90 at Exit 14 near Spearfish, SD. The facility is open year round, daily 9 am to 5 pm. Admission is $10.00 for adults, $3.00 for ages 6-16 and a family rate of $22.00. As a result of the efforts of local ranchers, the High Plains Western Heritage Center opened its doors in 1989. The Center has a spacious 200-seat Theatre, Transportation Room that includes the original stagecoach that ran between Spearfish and Deadwood until 1913 along with a Chuckwagon, Buggies and Sleighs. The facility is on a 40 acre site that includes a log one-room schoolhouse, homestead cabin and antique farm equipment. The Center is located in beautiful and scenic Spearfish, in the Northern Black Hills of South Dakota. For further information - (605) 642-WEST (9378) or www.westernheritagecenter.com that features a virtual-360 tour of the facility. The High Plains Western Heritage Center is open year-round, daily 9 am to 5 pm. 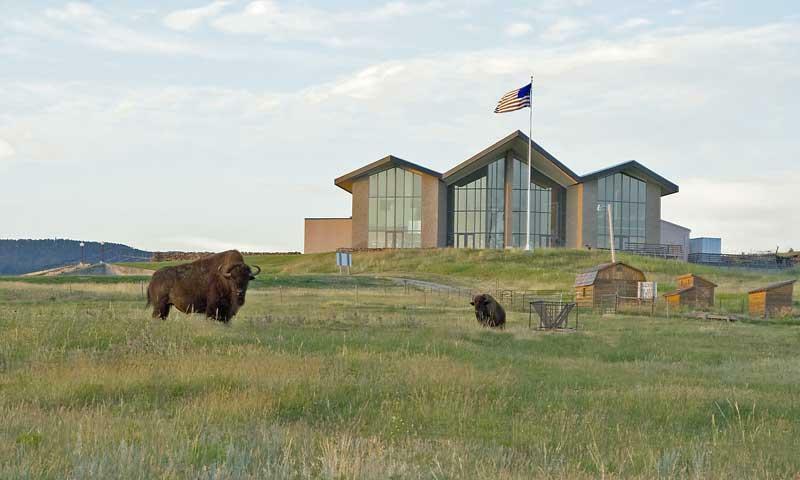 Live buffalo & longhorns can be seen in the pastures of the Heritage Center year-round.